Please note that that this thread will be opened as get closer to April 29, 2011 . We also use this thread to discuss official information released by the royal family as it relates to the wedding. The marriage of Prince William and Miss Middleton will take place at Westminster Abbey on Friday 29th April 2011. The Royal Family will pay for the wedding, following the precedence set by the marriages of The Prince and Princess of Wales in 1981 and Princess Elizabeth and Prince Philip in 1947. Here is the latest update on the arrangements for the wedding of HRH Prince William of Wales and Miss Catherine Middleton. Crown Prince Alexander and Crown Princess Katherine of Yugoslavia/Serbia will attend. Belgrade, 24 January 2010 - Their Royal Highnesses Crown Prince Alexander and Crown Princess Katherine received an invitation from Her Majesty Queen Elizabeth II to the wedding of His Royal Highness Prince William to Miss Kate Middleton on Friday 29 April 2011. Their Royal Highnesses are delighted to attend the marriage and are very happy for the young couple. Miss Catherine Middleton has asked her sister, Miss Philippa Middleton, to be her Maid of Honour. Prince William has asked his brother, Prince Harry, to be his Best Man. Miss Grace van Cutsem and Master Tom Pettifer are godchildren of Prince William. Around 600 people have been invited to the lunchtime reception at Buckingham Palace given by The Queen. Please note we are not releasing the names of individual invitees. The invitations were posted on Wednesday and Thursday this week. The EIIR on the invitation is die-stamped in gold and then burnished. The text on the invitation is also die-stamped. The edges of the invitation are bevelled then gilded. When Prince William and Kate Middleton walk down the aisle at Westminster Abbey, they will be in the company of the world’s great and good. But also sitting in the pews, in keeping with the couple’s desire for a ‘People’s Wedding’, will be a selection of characters from Miss Middleton’s home village in Berkshire. Kate and William have invited a friendly postman, a trusted shopkeeper and his wife, the landlord of the Bucklebury village pub and their butcher to share their special day. The names of the locals on the Royal wedding guest list were leaked this week as villagers started to receive the gold-embossed invitations. Shopkeeper Chan Shingadia and his wife Hash – who has checked with Kate’s father, Michael, whether she can wear a sari to the wedding – said they were delighted to receive theirs. Mr Shingadia, who lives above their Peaches Stores shop, said: ‘We’re over the moon, absolutely thrilled. I have known Kate six years. She comes in regularly. She has brought William in on about three or four occasions. The very first time it was mind-blowing to have a Prince in my store. He likes Viennetta ice cream – he buys that a lot. I’ve got to know him better each time. What’s lovely about him is despite the fact that he meets a lot of people, he still remembers my daughter’s name." The usually reliable Royal Musings Blog has reported that King Harald and Queen Sonja of Norway will be attending the wedding. Prime Minister Stephen Harper and his wife Laureen will be among the many royals, guests and dignitaries present when Prince William and Kate Middleton exchange their marital vows at Westminster Abbey next month. Governor-General David Johnston and his wife, are also on the guest list and confirmed their attendance last week. Musiacans for the Wedding Service have been announced. "Prince William and Miss Catherine Middleton have created a charitable gift fund to help celebrate their wedding. The fund will focus on assisting charities which support the five causes chosen by the couple. These causes are close to their hearts and reflect the experiences, passions and values of their lives so far..."
According to the Belgian media the palace confirmed the presence of prince Philippe and pricesss Mathilde at the wedding. The wedding cake designer has officially been announced via Clarence House Twitter and the Royal Wedding website. I know the fruitcake bit had already previously been reported on, but they also add that William made a special request for a "Chocolate Biscuit" for the Buckingham reception. With an election set for May 2, Prime Minister Harper of Canada will no longer be attending the wedding. The Governor General, of course, will be there. 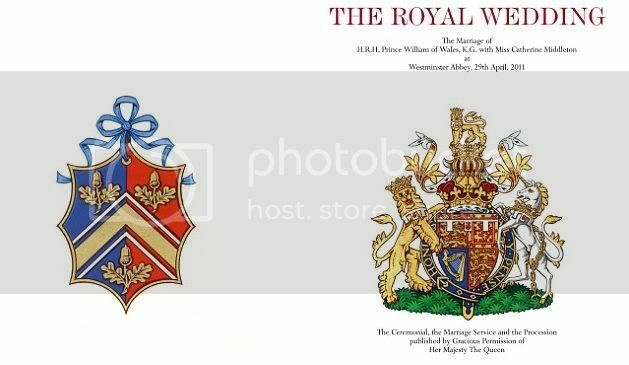 Royal Mail has officially announced today that it will be releasing a commemorative sheet of stamps to celebrate the Royal Wedding of His Royal Highness Prince William and Miss Catherine Middleton. The commemorative sheet features the beautiful images taken by world-renowned photographer Mario Testino of the couple in November. The stamps will be available on the 21st April, Her Majesty The Queen's birthday, and just in time for the wedding itself. V Permission to host and display the image of the Commemorative sheet has been given to the Forums by a respresentative of Royal Mail. The details and range of the ceremonial military personnel who will play a key role in the formal elements of the wedding of His Royal Highness Prince William of Wales and Miss Catherine Middleton have been announced today.